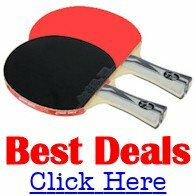 Are you looking for Canadian Table Tennis Clubs. If you're looking for Canadian table tennis clubs, here are two great resources for you. Firstly, I have a list of table tennis clubs in Canada which have been submitted by visitors to my web site. You can view the list right here and click on the links to read more about each club. And if you belong to a table tennis club in Canada yourself, why not add YOUR CLUB to the list ... it's really easy to do. Alternatively you can contact their National Association to get further information about table tennis in Canada. If none of the clubs listed below are suitable for you, try using the table tennis canada web site to locate a club or find more information about table tennis in Canada. ... as well as news, competition results and more.